One of the highlights of my latest trip to Iraq was the opportunity to visit Lalish, the holiest village of the Yazidis some 60km northeast of Mosul. The Yazidis are a Kurdish-speaking group. Most live in Iraq, though there are also populations in Syria, Armenia, Georgia and Russia. The Iraqi Yazidis live in the north of the country, mostly in Nineveh Province. Some consider them to be ethnically distinct from the Kurds. The Yazidis are monotheists who practice an ancient gnostic faith. Their beliefs have elements in common with several ancient religions in the region, but the exact origin of the Yazidi religion is unclear. The Yazidis are endogamous, meaning they only marry within their religion. During my trip, I was able to visit the mountain valley village of Lalish, the heart of the Yazidi faith. Human settlement here predates the Yazidis and is believed to go back to Sumerian times. In the centre of the village is the tomb of Sheikh Adi ibn Musafir, who settled here in the 12th century and established the ‘Adawiyya Sufi order. His tomb is a place of Yazidi pilgrimage and their main holy site. Though soldiers guard a barrier on the road leading up to the village and man a guard post at its entrance, Lalish is a quiet and peaceful place. 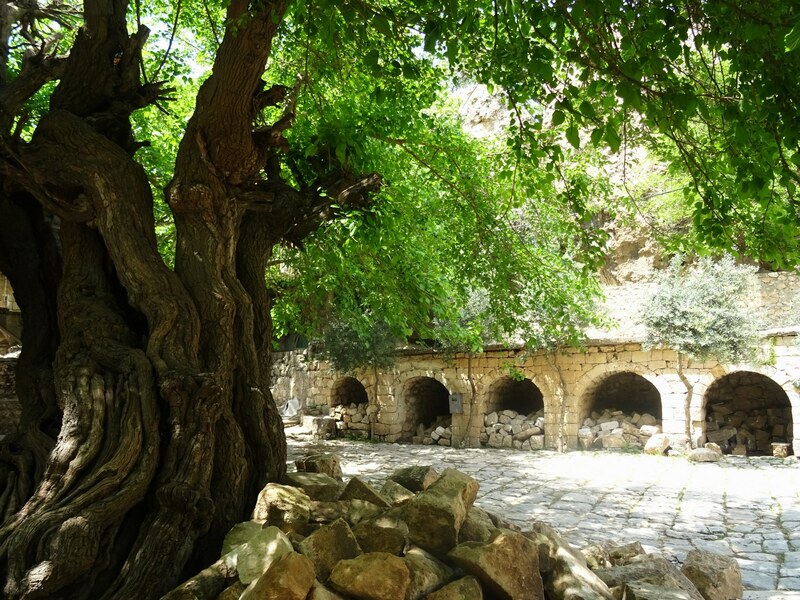 In the centre, large mulberry trees provide shade in the open spaces between the old stone houses. A few small children played and some teenagers chatted and laughed. Visitors to the village must respect Yazidi customs. Footwear is forbidden, so I had to pick my way around barefoot on the gritty paths and hot paving. Stepping on the threshold of doors is also not done so I had to stride over them – and some were wide and high. For Yazidis olive oil is sacred and not to be used for cooking. Instead, it is used only for lamps in the alcoves around the village and in the temples, the walls of which are black from centuries of smoke. The Yazidis’ beliefs have sometimes led to them being persecuted. The Yazidis in particular suffered at the hands of ISIS who accused them of being devil worshippers. ISIS was not the first to make this claim. The idea that the Yazidis are devil worshippers seems to have its origin in a misunderstanding of their religion. Yazidis believe God created the archangel Tawûsê Melek – the Peacock Angel – from his own light, followed by six more archangels to look after the world. According to their belief, God asked the archangels to bring him dust and earth and create Adam. God breathed life into Adam and then asked the archangels to bow before his new creation. Six of the archangels obeyed but Tawûsê Melek refused, arguing that since he had been created by God from his own light he should not bow before a creature made of dust. The Yazidis believe that God then made Tawûsê Melek the leader of all angels and his deputy on earth, the order to bow having been a test. So, for the Yazidis, the Peacock Angel is to be revered. Historically, outsiders have drawn a parallel between Tawûsê Melek and the Satan of the Abrahamic religions – an angel who similarly fell from God’s favour. The story is further complicated by the fact that Tawûsê Melek is also sometimes known as Shaytan, the name used in the Koran for the devil. Hence the claim that the Yazidis are devil worshippers. It is an interpretation that has cost many lives. Under ISIS, thousands were killed and many women and girls raped or sold into slavery. Fortunately, some of the Yazidis in the disputed Peshmerga-controlled parts of neighbouring Nineveh Province escaped the fate of those in areas that fell under the sway of ISIS. Lalish and its inhabitants avoided the ravages of ISIS. Yet it was a disconcerting feeling walking around the sleepy village, surrounded by fruit trees and fields of wild flowers, knowing that so many Yazidi from towns and villages just a few kilometres away had perished. My trip to Lalish and Iraqi Kurdistan was organised by Untamed Borders.